Running Techniques - Practise running over different types of terrain and learn the best way to tackle steep up and down hills. 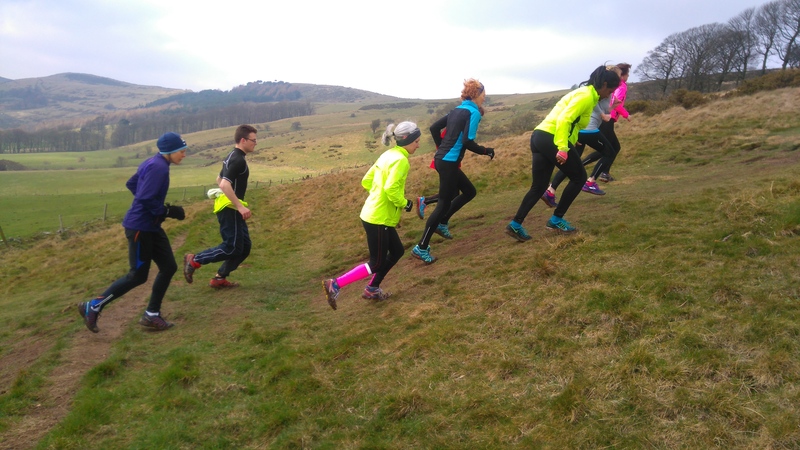 Get coaching advice specific for off road running. Training Advice - Learn how to incorporate intervals, hill reps, threshold runs and recovery runs into your training. Equipment - Get expert advice on shoes, bags, clothing, waterproofs. Nutrition - Gels, Jelly Babies or something else? Find out the best things to eat and drink on your runs. Race Tips - How to choose your first race, how to prepare, what you need to carry, race etiquette. Then put this into practice on a guided run in the Peak District. Don't worry that you won't be fit enough, the emphasis is on a steady pace and enjoying the session rather than racing! Thank you so much for today! I really enjoyed it and learned a lot of very useful techniques. A recommended day out! Thank you so much for today… really enjoyed it and learned so much! It's given me lots of new inspiration for running!